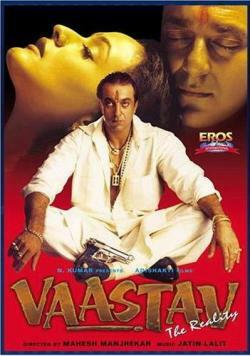 Hello Guys, We sharing some best and hard hitting dialogues of Vaastav film. This is a crime drama film written and directed by Mahesh Manjrekar. Sanjay Dutt and Namrata Shirodkar had played main lead role and Sanjay Narvekar, Mohnish Behl, Paresh Rawal, Reema Lagoo and Shivaji Satam in supporting roles. The movie is best known for role of Sanjay Dutt. He gave his best performance in this film. The film had got a big response by audience and critics. After some years the movie became cult film. The movie is also famous for amazing dialogues delivery by Sanajay Dutt. The movie has some best dialogues. Here I have collected some best punch lines of this movie Vaastav. I hope, you will like my post. I have already written many post on this topic. You can go these post by home page of this website by clicking the movie dialogues button.